Mountain bike riders must have shock system type of bikes that include full suspension and hard tail and even no suspension. The shock system is important as because it helps to absorb the impact over rugged terrain that provide a smoother ride. Full suspension bikes got suspension in both the front and the rear of the bike. Hard tail bikes have solid rear fork and shock system in place of the front fork. Mountain bikes with lower end models do not have a shock system in the front or in the back of the bike. 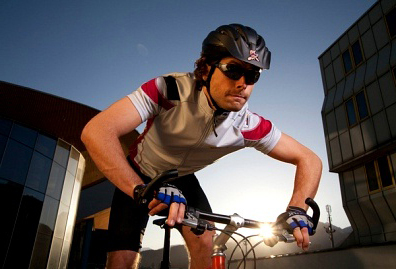 Mountain bikes for cross-country riders are ideal for small to moderate train and they got both climbing and descending capabilities as well. The travel in the rear suspension system is less than four inches that does not hinder the ability to climb hills. The standard numbers of gears on cross-country bikes are 28 providing a wide range of gears suitable for the traveling over varied terrain. 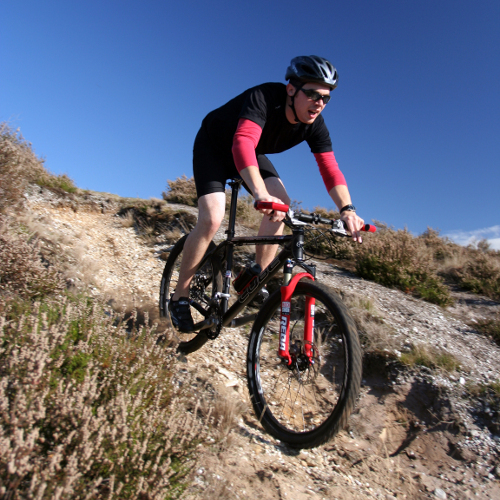 In mountain bikes, trail bikes are more substantial than cross country bikes as they are intended for use for more technical mountain bike rides. The travel in suspension systems used on these bikes ranges is from 4-7 inches. This increased travel allows for a very smoother ride but makes pedaling uphill more difficult too. Mountain bikers have to weigh the decreased pedal efficiency versus a smoother ride. The down hill mountain bikes detailed with the front and rear shock that have up to eight inches of travel. These bikes are specifically designed to do downhill racing. The amount of travel in the suspension systems makes it difficult to pedal uphill, for this reason these bikes are used almost exclusively for the downhill races where the shock systems allows smooth possible ride over harsh terrain at high speeds also. Dirt jump bikes are one more verity in mountain bikes, which have only a front suspension system and used for flying over jumps. They have 16 gears in these bikes which allows the rider to build up the speed they need while making jumps.